While many Iowans celebrated Christmas on Wednesday, Des Moines police pursued leads in the capital’s 14th homicide of 2013. 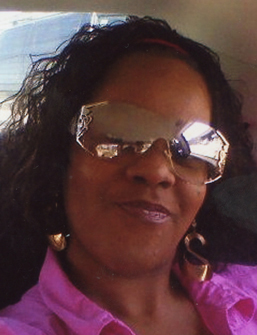 Police made few details public Wednesday, but said this much: The victim’s name was Johnita Larie Clemons, 34. She was shot and killed shortly before 9:35 p.m. on Christmas Eve. Tuesday evening, police responded to a 911 call at 1801 Francis Ave. in Des Moines. The caller said three shots were fired. However, police have been unable to verify that number. Police said Wednesday that 34-year-old Johnita Larie Clemons of Des Moines was found Tuesday night inside a home on the city’s north side. Gunshots had been reported earlier in the area. This entry was posted in Dead, Iowa, Woman on December 24, 2013 by usgunviolence. Leigh Lepon, 32, was charged with first-degree murder in the death of 38-year-old Devlin Lockman, of Ames, who died on Dec. 20, 2013 of injuries from a single gunshot wound to his face. Although initially classified as an accidental shooting, according to court records, an investigation into the death began almost immediately after the incident occurred. According to the document, officers were called to Lockman’s home at 4810 Westbend Drive in Ames on Dec. 20, 2013, for a report of “a male that had shot himself.” Upon arrival, officers found the victim with a gunshot wound to his face along with three other individuals, including Lepon. Lepon told officers that Lockman was intoxicated, had been waving a gun around and had shot himself in his face by accident. Lepon and another individual – a female he was in a relationship with – were brought to the police department for questioning that night and released. Less than two weeks later, officers were called to Mary Greeley Medical Center in Ames for a report of an alleged domestic assault involving the female that had previously been questioned about the events of that evening. In talking with officers, the witness stated that she had not been truthful during her initial interviews regarding the incident “as she was in fear for her life,” Detective Lovig noted in the search warrant application. Authorities say they were called to a home on Westbend Drive on December 20, 2013 at around 10:30 p.m. This entry was posted in Dead, Iowa, Man on December 20, 2013 by usgunviolence. Friends say the 24-year-old killed in a Rock Island shooting was a talented artist and loving father. Thursday, they asked for the community’s help to give his young son a merry Christmas. Rock Island County Coroner Brian Gustafson said Derek Jackson was the man who died after he was shot at about noon Wednesday, December 18, 2013 in a home on 16th Avenue near Douglas Park. A local jury found Aaron Henderson guilty of first-degree murder in the death of Rock Island tattoo artist Derek Jackson. 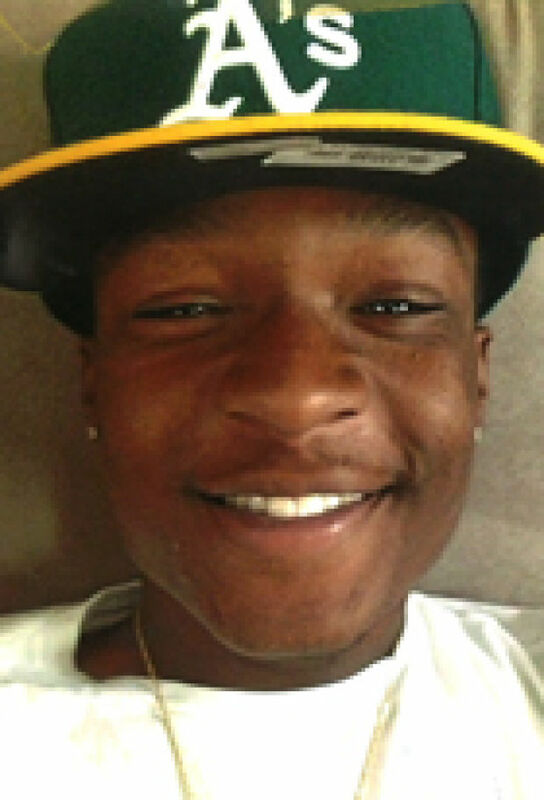 Jackson died after he was shot December 18, 2013, at a home on 16th Avenue in Rock Island. Jackson’s girlfriend, and his three-year-old son, were in the home when the shooting happened. Aaron Henderson and Yolandius McDuffie were arrested and charged with first-degree murder; the first-degree murder charge was dropped moments before trial was set to begin in early January 2015 for 21-year-old Yolandius McDuffie. A Rock Island man is headed to prison for forty years in connection with the murder of a local tattoo artist who was shot to death and robbed in 2013. Aaron Henderson, 22, will have to serve the entire sentence. Derek Jackson was shot to death in his house shortly before Christmas 2014. His girlfriend and son were inside the home at the time. Henderson was discovered rifling through the pockets of Jackson, as he laid dead on the floor. Henderson was considered a friend of Jackson. This entry was posted in Dead, Iowa, Man on December 18, 2013 by usgunviolence. Raymond Frank Gonzales Jr., 22, who was arrested Monday on lesser charges, is now accused of killing Bonnie Baker, the Dakota County Attorney’s Office said Friday. Gonzales is being held at the Dakota County Jail in lieu of $1 million bail. Baker, 28, was found dead of a gunshot wound Sunday afternoon in her mobile home in Siouxland Estates in the 1500 block of Atokad Drive in South Sioux City. DAKOTA CITY | Tammy Baker knew what sentence Raymond Gonzales Jr. would receive for killing her daughter. Nebraska sentencing laws called for Gonzales to receive a sentence of life in prison without parole for his conviction of first-degree murder. With that knowledge in hand, it didn’t lessen the gratitude Baker felt Thursday after hearing District Judge Paul Vaughan announce Gonzales’ sentence for the Dec. 15, 2013, shooting of Bonnie Baker. A Dakota County District Court jury found Gonzales, 23, of Sioux City, guilty in December of first-degree murder and use of a firearm to commit a felony. In addition to the life sentence, Vaughan sentenced Gonzales to 30-40 years in prison on the firearm charge, a sentence that state law requires be served consecutively. It may have been a moot point in this case, but Vaughan chose to sentence Gonzales well above the five-year minimum on the gun charge because of the nature of the crime. “This was a senseless act that caused devastation to the victim’s family,” Vaughan said. Trial evidence showed that Bonnie Baker was shot 16 times at her home in Siouxland Estates in the 1500 block of Atokad Drive, in South Sioux City. At trial, witnesses testified that Gonzales was upset after people at a party at Baker’s home teased him about having sexual relations with Baker’s brother the night before. Several of the people who had been at the party testified that when they were driving Gonzales home, they heard him mutter, “When I light that place up, it’s going to be like a fireworks show,” and seemed to be plotting revenge against Baker’s brother. 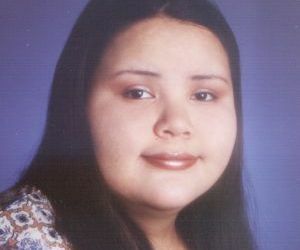 After being taken home, Gonzales returned to Baker’s home and shot her. This entry was posted in Dead, Iowa, Woman on December 15, 2013 by usgunviolence. DES MOINES, Iowa —Des Moines police held a news conference Thursday morning to provide more information about the shooting Wednesday. Police spokesman Sgt. Jason Halifax provided a moment-by-moment rundown of the events as they unfolded on Thursday. He said the motive for the shootings remains unknown. Police Chief Judy Bradshaw said the situation could have been “horrific.” She said the high powered assault weapon has capabilities far beyond what her officers carry — she said the officers were outgunned. She praised officers for their courage during the situation. Halifax said the first call about the shooting came into 911 at 3:21 p.m. Many more calls followed with some from witnesses describing the shooting as it was happening. Witnesses reported to police that a man with a black rifle was being fired into passing cars and into homes. Halifax said officers could hear the shots as they arrived at the scene and then later could hear the shots hitting items around them as they closed in. The man was identified as Steven Jon Vogel, 38, who lived at 1018 Creston Ave. He died Wednesday night at the hospital. Police said he had several incidents on his police record dating back to 2005. Halifax said Vogel fired approximately 100 rounds from his weapon during an incident that lasted around 20 minutes, striking three vehicles and seven homes. According to Halifax, one of the vehicles that was struck was driven by Larry Chiles, of Urbandale. Chiles received a graze wound to his head. He was able to drive to a medical clinic not far away and was then transported to Iowa Methodist Medical Center. His injury was non-life-threatening. Chiles was listed in good condition Thursday morning and was expected to be released from the hospital Thursday. Chiles told police that he saw a man fall to his knee and then fire the gun at his car. Two Des Moines police officers who returned fire during the shooting were Lt. David Seybert and Officer Zachary McCarthy, said Halifax. The officers will be on paid administrative leave during the investigation. Halifax said a shot from one of the police weapons hit Vogel in the head. Testing is being conducted to determine which officer’s bullet hit Vogel. On Dec. 4, Vogel, 38, used the high-powered AR-10-style rifle and a handgun to fire almost 100 rounds at neighboring houses, passing vehicles, and responding police officers. Seven houses and three vehicles were struck and a bullet grazed a motorist’s head before police shot and killed Vogel. The gunfire in the south-side neighborhood lasted about 20 minutes. Vogel legally bought the rifle in 2007 from a Scheels All Sports, according to a trace by the Bureau of Alcohol, Tobacco, Firearms and Explosives. In 2008, a judge twice ordered Vogel to surrender all weapons to police after police said he pointed what looked like a handgun at two people and, in a separate incident, starting an altercation with someone in a parking lot. 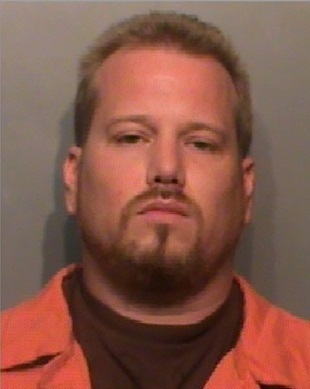 Vogel took the pellet gun to the Des Moines Police Department, officials said. A police officer’s report at the time said Vogel may have owned up to six guns. But complying with a court order to turn over weapons is the responsibility of the defendant, police said. Officers can’t search someone’s home for additional firearms. In addition to the rifle, Vogel also used a handgun in the Dec. 4 shooting. That gun was purchased from a licensed dealer in 1999 by a third party but police aren’t sure when Vogel acquired it. Once a gun enters the private market agencies can no longer track it. Twenty minutes after the shooting began, it was over. At some point, Vogel was hit by an officer’s gunfire, police said. Vogel fell to the ground in his backyard. Officers rushed forward, cautious that Vogel was feigning injury. He was found face-down with a gunshot wound to the head, his rifle still in his hands. The handgun was underneath him. Des Moines police officials have determined which officer fired the shot that killed a Des Moines man who fired almost 100 rounds at houses, cars and other officers on the city’s south side last month. This entry was posted in Iowa, Man, Multiple Shooting, Wounded on December 4, 2013 by usgunviolence. This entry was posted in Dead, Iowa, Man, Multiple Shooting, Shot by Police on December 4, 2013 by usgunviolence. WATERLOO | Police are looking into a second shooting in the wake of a homicide that killed a Waterloo teen Thursday night. Officers found 18-year-old Daequan Oshae Campbell, of 438 Locust St., with two gunshot wounds after responding to gunfire at 1211 Langley Road at 6:56 p.m. He later died. Then at 12:14 a.m. Thursday, someone opened fire on a house at 1123 Columbia St., Resident Ida Roby, 60, and another person were home but weren’t injured, police said. Officers found several bullet holes in the back door and in the kitchen window. A jury has found a Waterloo man guilty of the shooting death of another Waterloo man in November 2013. Perquondis Holmes was found guilty on all charges in a Black Hawk County court, including first-degree murder in the death of Dae’Quan Campbell, 18. 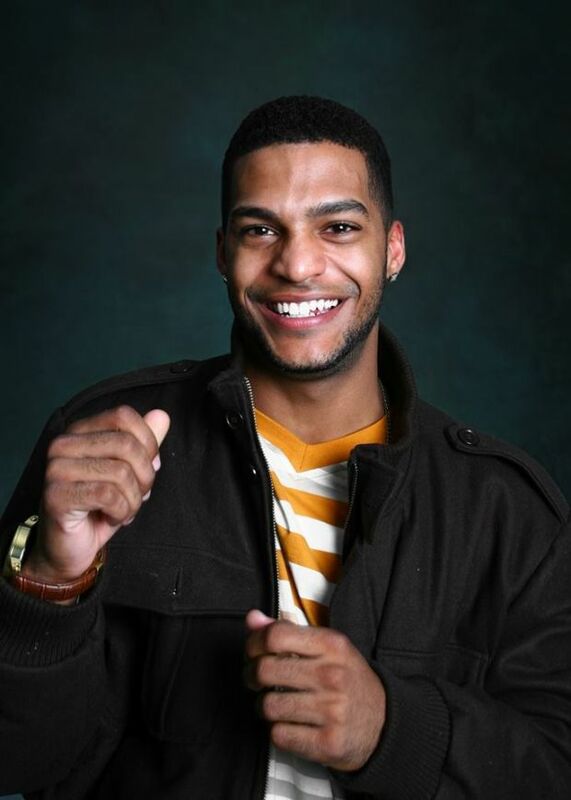 Campbell was shot in the chest and hip on Nov. 14, 2013, in the 1200 block of Langley Road in Waterloo. He was taken to Covenant Medical Center where he was pronounced dead. This entry was posted in Dead, Iowa, Man on November 14, 2013 by usgunviolence.